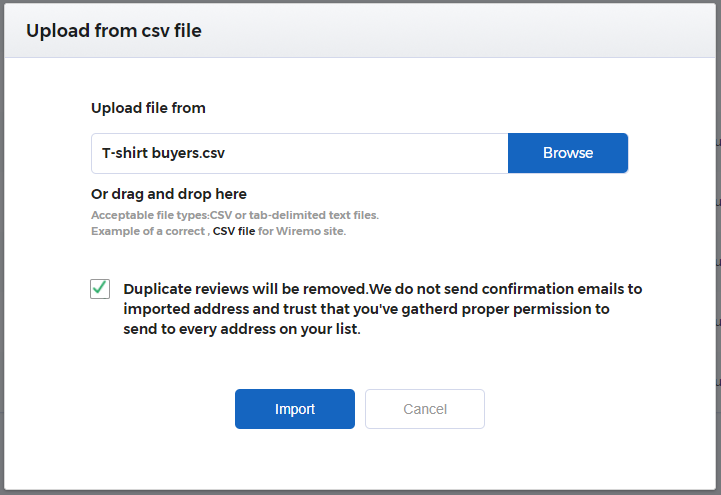 In this article, we explain how to import your existing reviews to Wiremo by using a CSV file or to do it manually. 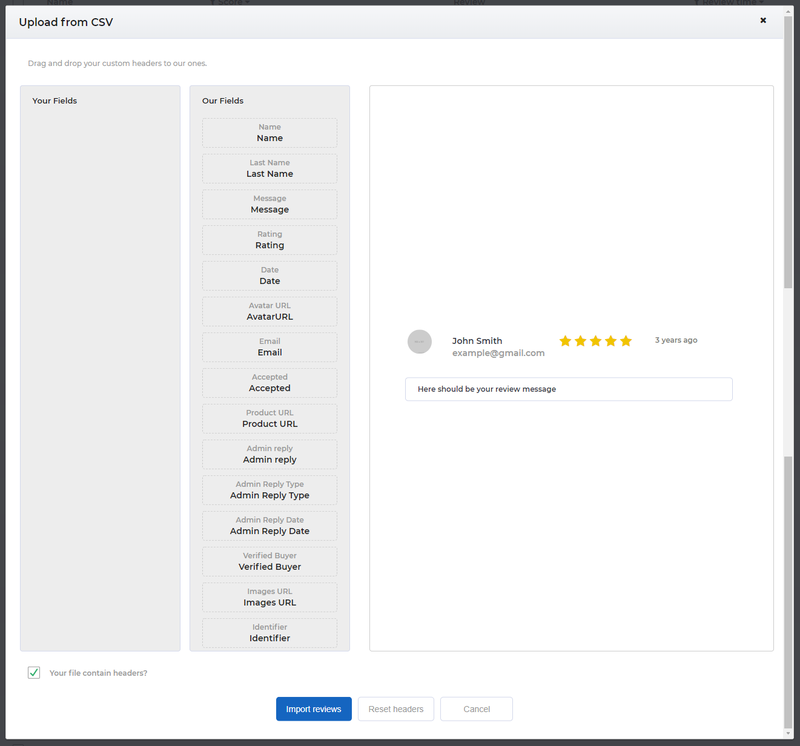 For an easier way to find out how to import reviews, you can watch the following video tutorial or follow the steps below it. Let’s see how to do this. 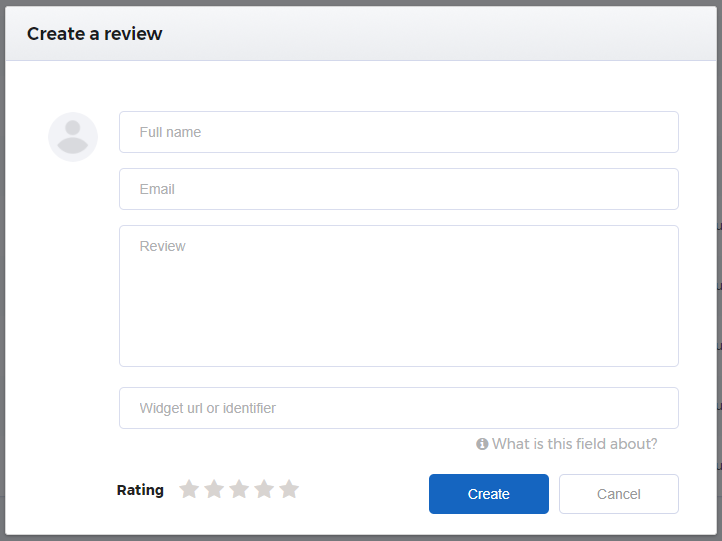 Login to Dashboard and go to Reviews (pin 1). In the right corner of the tabs press on the "Import reviews" button (pin 2). In the opened pop-up window press on the "Import from CSV" button. In the next windows, press on the "Browse" button and then choose your CSV file. Then press on the checkbox near the info "Duplicate reviews will be removed....". Now press on the "Import" button. 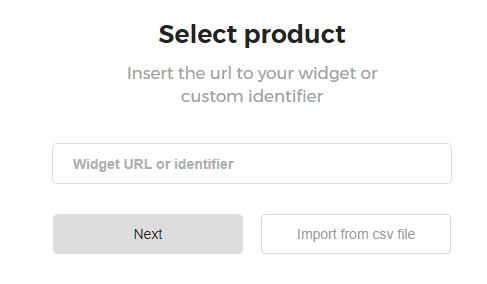 Now type your URL where you've set up your widget or custom identifier and press "Next". Or press on the "Import from csv file" in case there are different url in your csv file. Once you've finished it should look like in the image below. Now press on the "Import reviews" button to finish the process. To import customer reviews manually press on the "Insert manually" button. 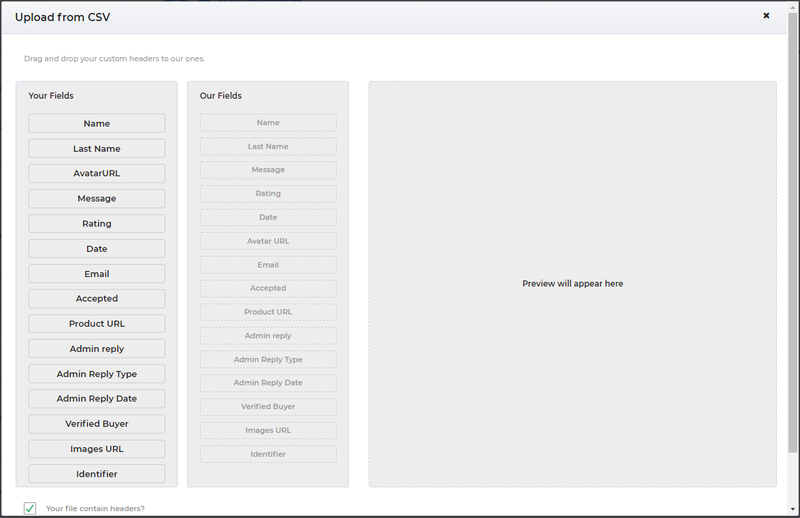 Now in the opened window just fill all the requested tabs and press on the "Create" button. Thank you for choosing Wiremo.